Ex-Libris is a latin term for "from the library," and was the guiding principal for this proprietary project. Through connections with some top wineries in Washington and California, we were able to go into their vaults and secure some superlative lots of wine from top vineyards. The goal of the project is to produce wines that drink like $30-$40 bottles, but sell for under $20. For most vintages, this Bordeaux blend contains all five of the main varietals, including Cabernet Sauvignon, Merlot, Cabernet Franc, Malbec, and Petit Verdot. The wine is sourced from several top sites in Washington including the Sheridan Vineyard (made famous by Andrew Will's single vineyard bottling), Champoux, Goose Ridge and Coyote. The wine is aged for 22 months in predominantly French oak, with about 15% new. 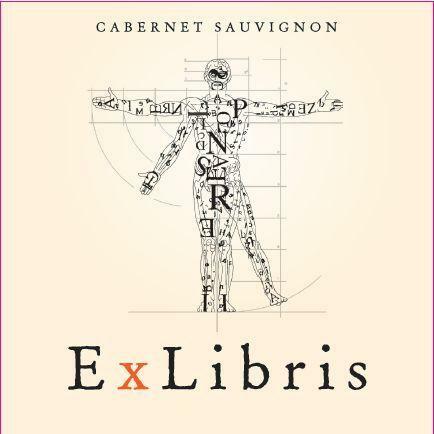 Stylistically, Ex-Libris Cabernet Sauvignon leads with its beautiful, plummy/cassis fruit, but there is also a bit more restraint and structure (and Bordeaux spirit) than your typical domestic Cab. There is also earth, licorice, and just a gentle framing of wood to balance out the palate. "Ex-Libris is a latin term for "from the library," and was the guiding principal for this proprietary project. Through connections with some top wineries in Washington, we were able to go into their vaults and secure some superlative lots of wine from top vineyards, including Sheridan and Champoux.